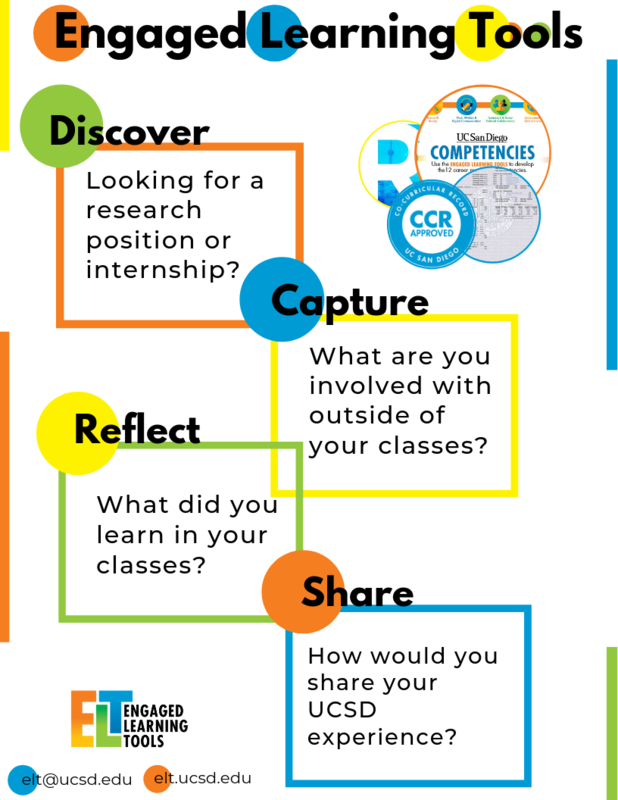 UC San Diego offers a suite of tools designed to help you discover, capture, review, and share your experiences and the skills you developed. Discover experiential learning opportunities both on- and off-campus. Reflect on your academic history with helpful contextual details like instructor name and grade distribution. Capture and share your activities, achievements, and skills developed outside the classroom on a verified record. Questions? Contact us at elt@ucsd.edu. Engaged Learning Tools is a unit within the Experiential Learning Hub of the Teaching + Learning Commons, which expands our reach across campus and offers new partnership opportunities. Submit new opportunities to be recognized on the Co-Curricular Record by Friday, May 3 to be reviewed by the CCR Evaluation Committee. 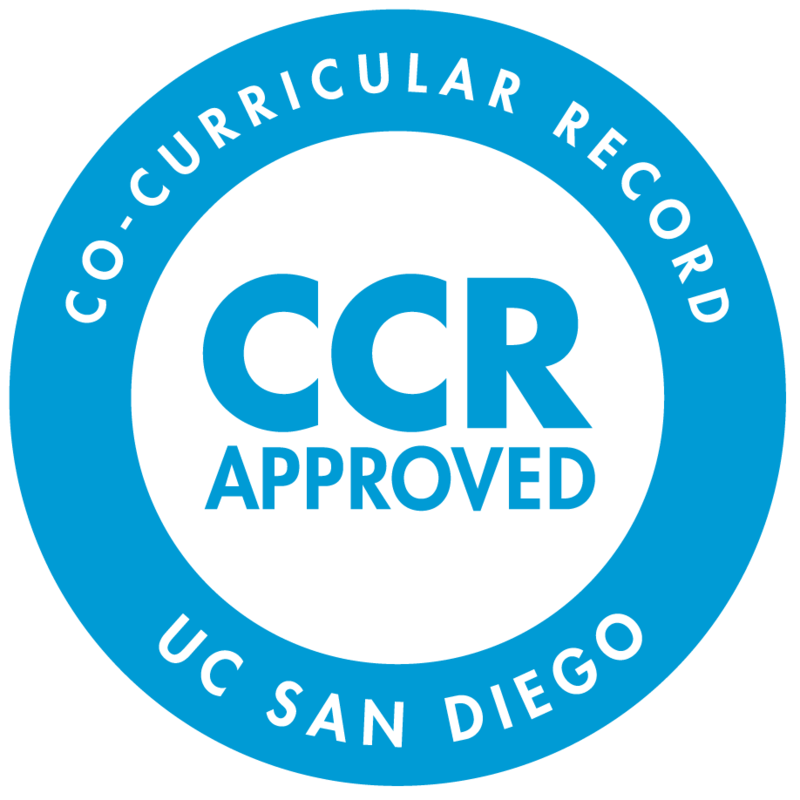 CCR Opportunities must be submitted by UC San Diego Faculty or Staff members. See elt.ucsd.edu/submit for more information about the submission process. Educause highlights how comprehensive learner records, including UC San Diego’s CCR and electronic transcript, are evolving to show richer measures of student achievements. UC San Diego's Career-Readiness Competencies and the Co-Curricular Record (CCR) are highlighted in this EvoLLLution article about career-preparation of today's college graduates. Author Ed Abeyta postulates that "when students graduate, employers should be able to determine what sets of skills and knowledge they bring to the workplace." 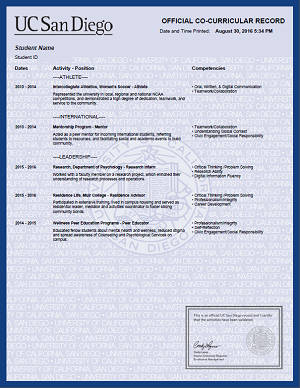 If you are involved in a co-curricular opportunity at UCSD that meets the criteria of the Co-Curricular Record, see how you can add your position and skills on your official transcript here.